The hues that come to mind when one thinks of coastal design on the North Fork often include shades of blues and greens accented by neutral tones of sand and driftwood. On the opposite end of the spectrum is a vibrant but mellow color that warms and comforts in a continually changing environment. Pantone’s Color of the Year Living Coral is described as an animating and life-affirming coral hue with a golden undertone that energizes and enlivens with a softer edge. Though you may have to travel to more tropical climates to discover it in nature, this pop of color is a welcomed complement to our modern coastal décor. Though the title of Color of the Year sets Living Coral apart, Pantone also releases an annual PANTONEVIEW Home + Interiors Guide. There are 72 forecasted hues for 2019, broken into palettes like the culinary-inspired “Cravings” and the fundamental and everlasting “Classico.” The latter can be easily incorporated into North Fork living spaces. Described as emitting the desired, familiar, and energizing aspects of color in nature, Living Coral is multi-faceted in what it represents. It is elusive, vivid, and mesmerizing. It was chosen for 2019 in reaction to technology and social media’s overwhelming influence in daily life in an effort to renew the longed-for human connection. For interior designer James McAdam, Living Coral has always been color of the year. Adding a pop of coral makes a splash in North Fork décor, especially on the exterior. Think a coral-striped pool umbrella or piping on lounge chair cushions and pillows. It creates a bold yet elegant design and thought-provoking discussion. Halstead Real Estate licensed real estate salesperson Timothy O’Connor has a background in the fashion industry and experience in interior design. 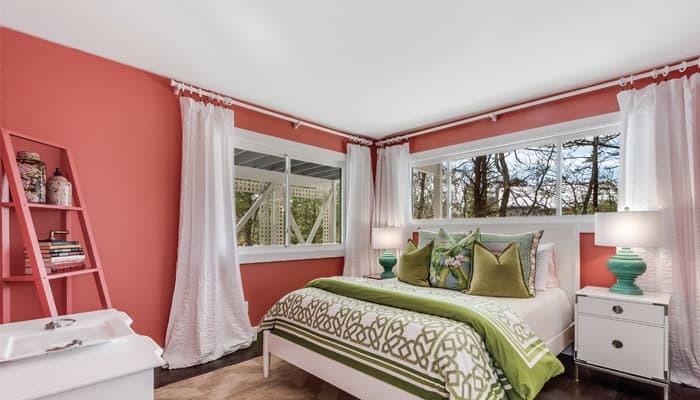 Understanding the trend of bringing the outdoors in, something that has made a strong showing in the last several years, he finds Living Coral is ideal for this, bringing the beach indoors and adding great excitement for home décor. 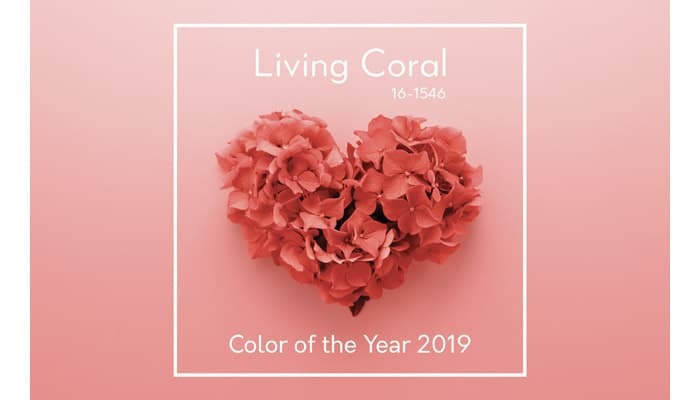 It will be another exciting year in design as Pantone 16-1546 Living Coral graces color palettes in interiors, exteriors, and fashion throughout 2019.